I still remember when charm bracelets became a thing, and dreaming of one day owning a Pandora bracelet. Truth is, there are so many brands out there that make these types of bracelets at a fraction of the price and that look just as lovely and are just as good quality! My sister gifted me a charm bracelet for my birthday a couple of years ago from a local jewelry boutique when we were in Las Vegas. I also bought myself my first charm bracelet at the Trump Store in NYC over four years ago as a souvenir. The best part is that they are both still in great condition! 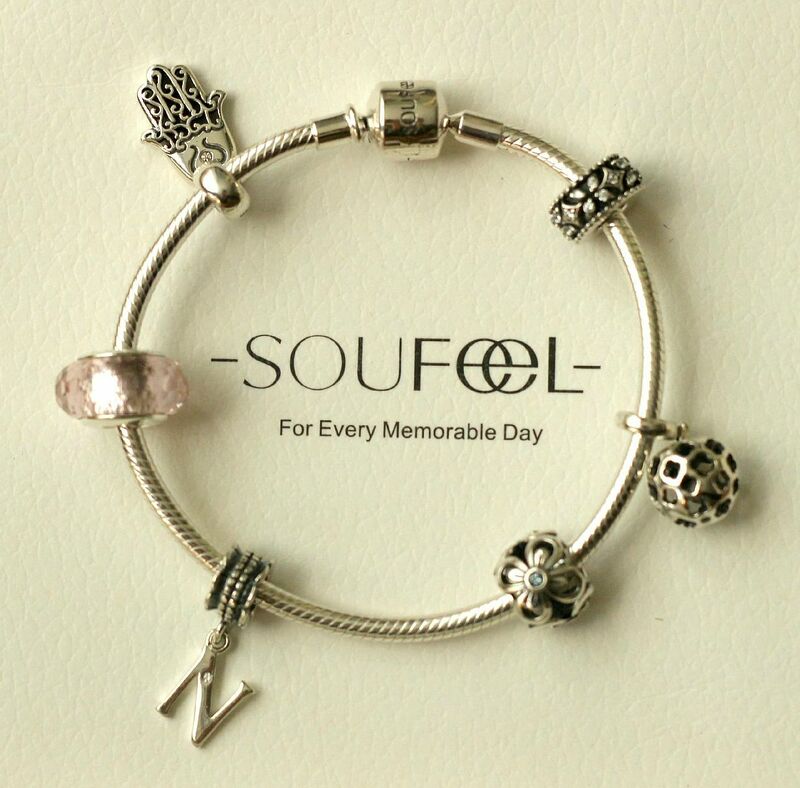 I was recently contacted by SOUFEEL Jewelry to build my own charm bracelet, and upon visiting their website I was pleased to see such a wide selection of charms to choose from at a very affordable price. I first picked a sterling silver starter bracelet (now on sale $15.95) after figuring out my wrist measurement and then started browsing for some charms that I thought represented me well. I came across the Religion Faith Dangle Charm 925 Sterling Silver (on sale $19.95) which I thought was lovely and symbolizes my faith and spirituality. It has a white diamond at the top and the overall design is so intricate. I also picked the Four Leaf Flower With Blue Crystal Charm 925 Sterling Silver (on sale $6.99) because I'm a big nature lover - I even planted most of our vegetable garden this year! I think letter charms always add a personal touch, so I got the New Style Letter N Charm 925 Sterling Silver (on sale $15.95) to go with my first name. It also comes with a tiny white diamond near the top which makes it look nice and dainty. As you will see, most of the charms I picked are mostly all made out of silver, so I wanted to add a pop of colour with the Pink Ice Crystal Faceted Murano Glass Bead 925 Sterling Silver charm (on sale $20.00). It is a light pink charm and is the heaviest from the ones I chose since it is quite bulky. I like that it looks so feminine and classy. 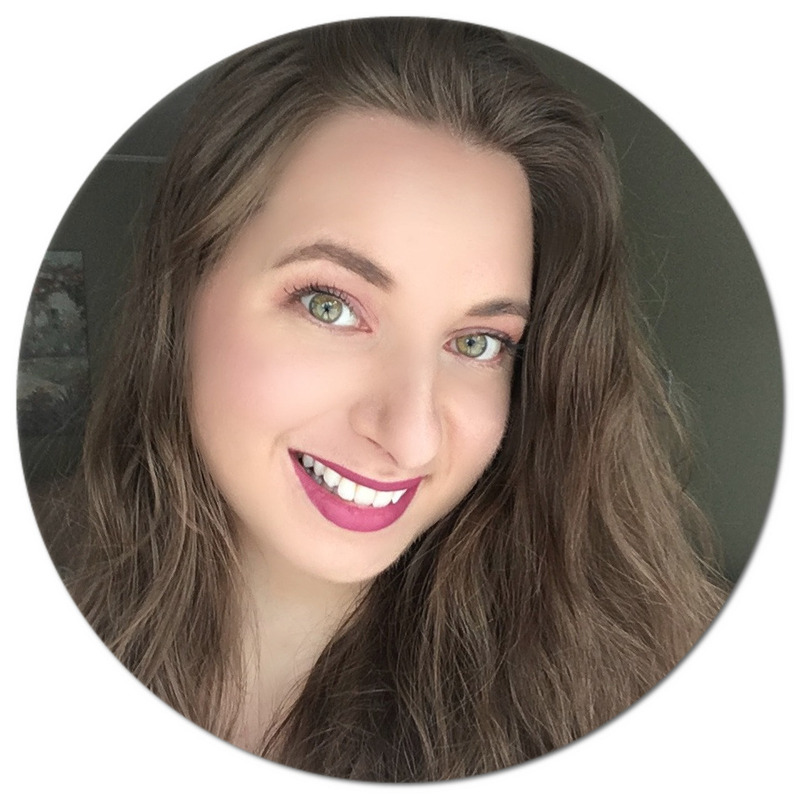 When I spotted the Pierced Apple Charm Dangle (no longer available, similar apple charm here), I thought it was beyond adorable and to me symbolizes living a plant-based lifestyle. Lastly, I wanted to get a stopper so that the charms don't move around too much and really liked the look of the Sparkling Stopper Charm 925 Sterling Silver (on sale $19.95). The total value of my custom bracelet is $120, which is an incredible deal! 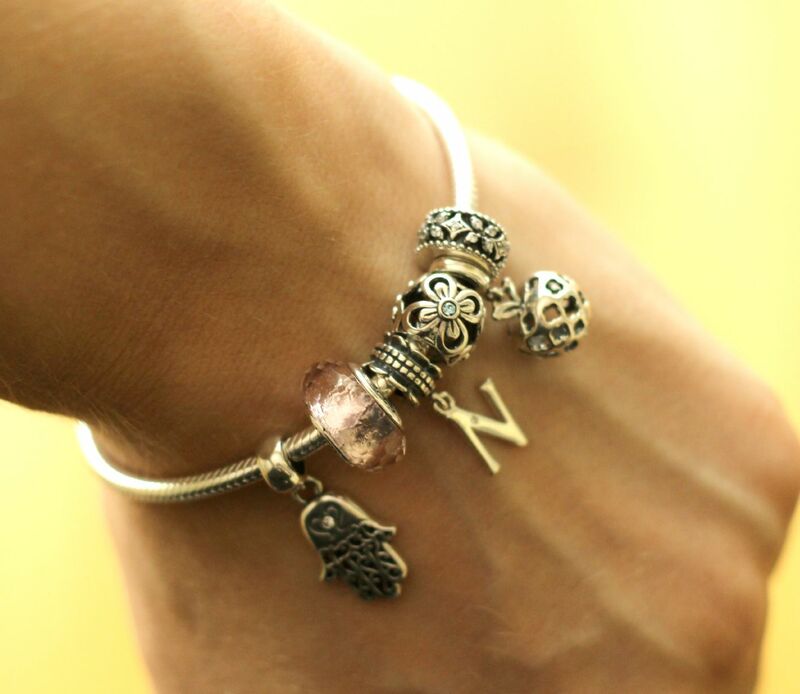 All charms are made out of 925 Sterling Silver and can even fit Pandora and Chamilia bracelets. Both the bracelets and charms look and feel luxurious and are very high quality. They always have tons of charms on sale on their website and you can also browse their new arrivals section, most of which are discounted too. 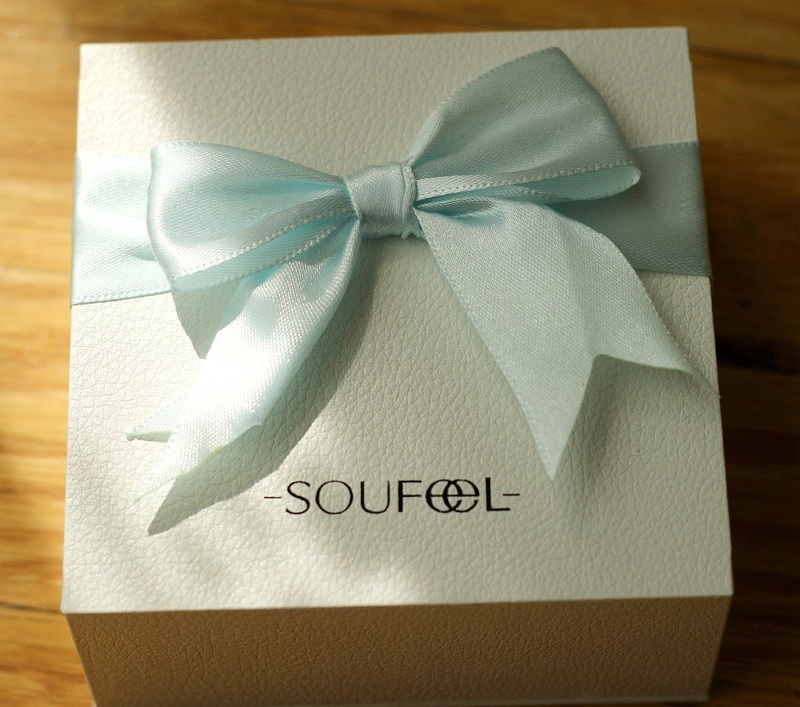 Interested in trying SOUFEEL Jewelry? With code Natalie5, you can save 5% off your entire order! They are currently offering a free necklace with orders over $59.00 and a free charm when you spend over $79.00. The classic bracelet is on sale for a limited time only at only $15.95 and all orders come with a free white luxury box, perfect for gifting or storage. You also get free worldwide shipping on any order over $50 and all items come with a one year return and exchange guarantee. I love these bracelets! I have one too! (On Wake Up Wednesdays) Your review is great! And photos look really good! Beautiful jewelry, it's great that they ship worldwide.